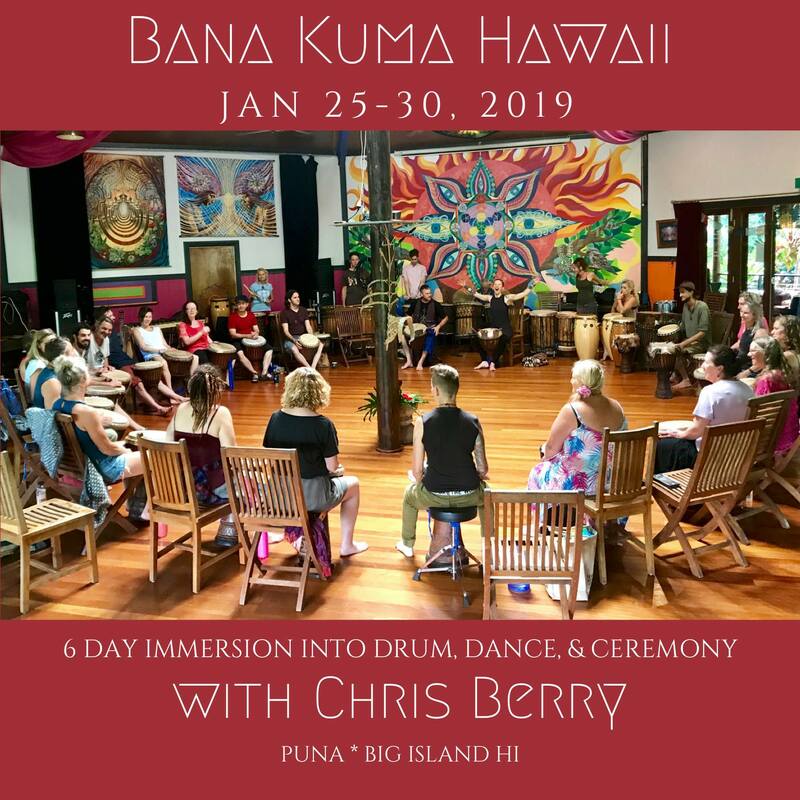 Immerse yourself into 6 Days of Learning Universal Wisdom through the scope of Bana Kuma and applying it to Music, Dance, and Ceremony! Join Master Conductor Chris Berry in Creating, Learning, and Presenting a ‘Prayer-formance’ at Flow Fest 2019! January 25-30, 2019, on Big Island, HI! Throughout this experience we will gather as community in ceremonial setting. We will learn rhythms composed by Chris Berry, and experience a taste of the sacred altering possible when we imbue the rhythms with sacred intention. All levels of experience will be accommodated, including absolute beginners. Join in by playing Drum, Marimba, Mbira, Singing, Dancing, Costume-Making, Story Telling, or ANY other instrument that you’d like! The Prayerformance we create will be the headlining act on Sunday evening at Flow Fest Hawaii! $350 Early Bird Promotion! Register by December 5th to take advantage of this amazing offer! To secure your reservation, half of the registration fee is required. Please email minjasmagicks@gmail.com for reservations. Grammy award winner Chris Berry is an eclectic singer and songwriter, multi-instrumentalist virtuoso, and high-energy performer and exampler.